Developed and manufactured in the UK by Microtex Products Limited and in the USA by Microtex Products Inc, Firemizer is a fuel saving device made up of a special blend of stainless steel alloys that are patented and welded together to create a flexible grid which is placed on the base of your stove or hearth. 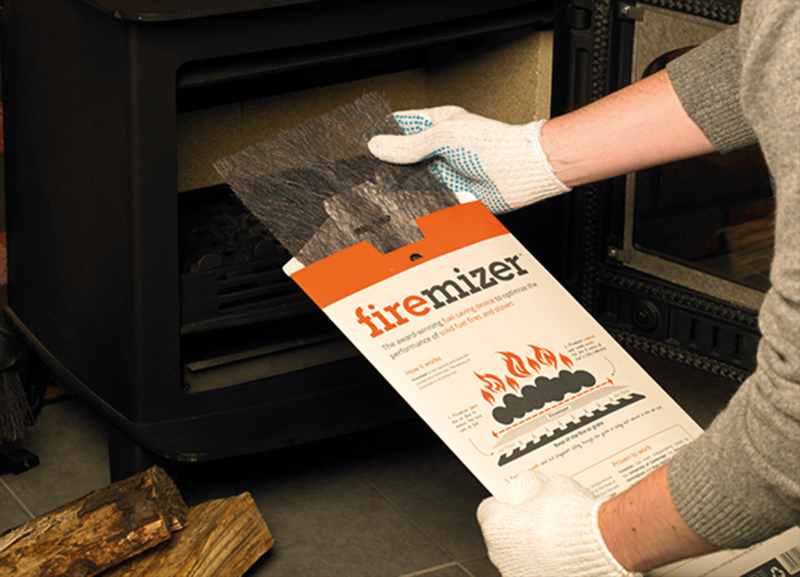 Once in place, Firemizer reduces the burn rate and spreads the heat evenly across your fire to ensure all of the fuel is burnt thoroughly, enabling you to enjoy your perfect fire for longer and cut costs on firewood & coal. Independent tests by the University of Cambridge, the University of Nottingham and Kiwa GASTEC at CRE in the UK, as well as OMNI-Test Laboratories Inc in the USA have all shown that using Firemizer can save you up to 38% on your fuel costs and can last up to 500 hours. How many weeks of the year do you use your stove or fire? How much do you pay per week for your wood and/or coal? Firemizer will save you up to per year! Firemizer was a finalist in the Business Innovation category and the Science & Technology Entrepreneur categories in the 2012 Nottingham PostBusiness Awards. In its first year of entry, Firemizer was selected as one of the Finalists in the Hearth Accessories section of the 2014 VESTA Awards.